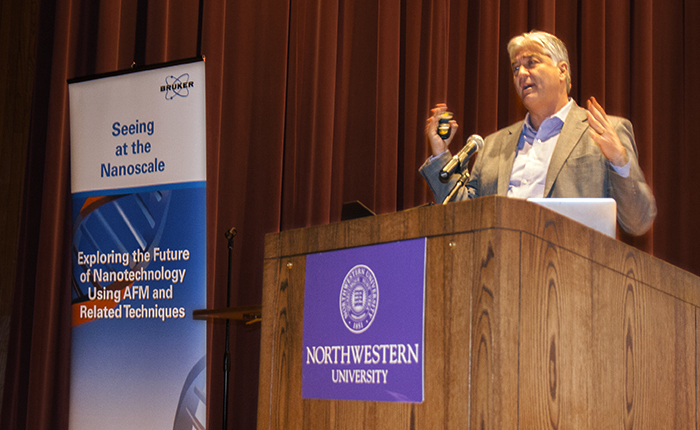 The SNS2013 with NUANCE conference provided a forum for researchers and students from around the globe. Experts in a variety of fields reviewed the progress in and prospects for the emerging field of SPM application in energy storage, polymers for photovoltaic applications, energy harvesting and energy dissipation imaging. They also explored emerging application of SPM in quantitative biomechanics of cellular and sub-cellular structures, and in developments in therapeutic strategies along with in-vitro imaging. The conference participants also discussed the rapid development in high-speed AFM and real-time dynamics of biomolecules in action, true 3D nanometrology with controlled environments to offer SEM-like user experience and instrumentation for high speed AFM development. Professor Joe Garcia, MD speaking about the use of AFM techniques to characterize processes associated with perforations in the endothelial tissues commonly found in Acute Lung Injury/Acute Respiratory Distress Syndrome (ALI/ARDS). 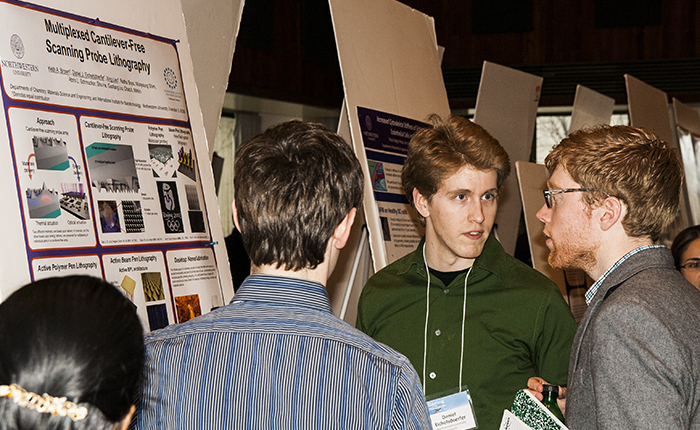 Participants in the SNS2013 Poster Session discuss developments in AFM. 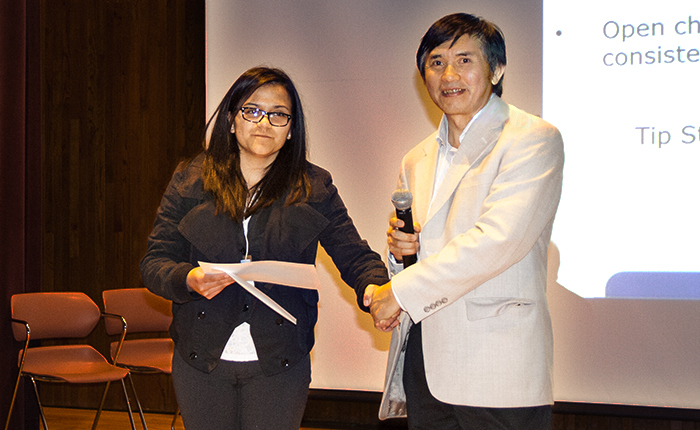 Poster Session winner, Maria Jose Cadena of Purdue University, takes home a $1500 prize for her work entitled: Sub-surface imaging of carbon nanotube networks in polymer composites via electrical dynamic AFM techniques. 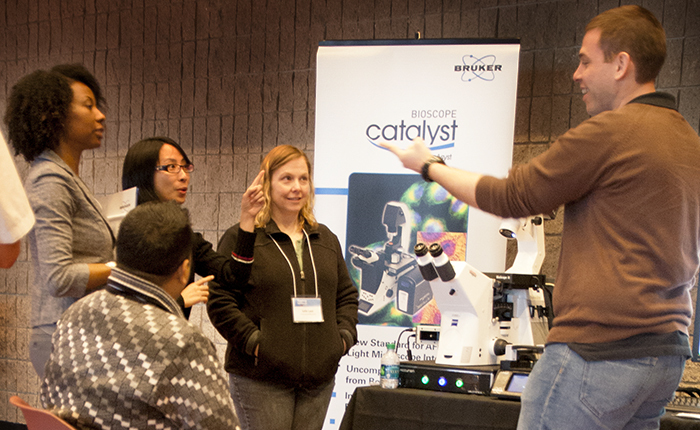 Participants in the SNS2103 Bruker Workshops discussing various subtleties in technique for mounting samples to be imaged and analyzed with the Bruker BioScope Catalyst. 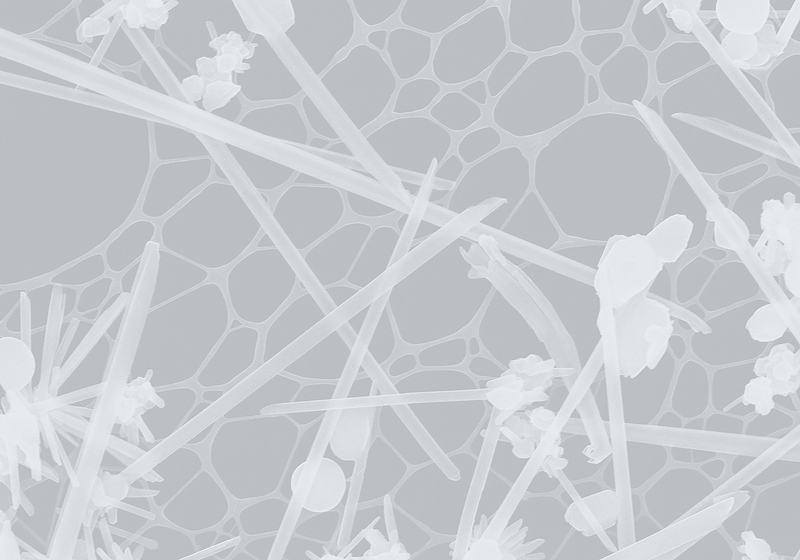 As the name suggests, the BioScope Catalyst is ideal for imaging biological samples, including live cells and tissues.